Rose Hall, near Montego Bay, Jamaica is a former sugar plantation that was built from 1778 to 1790 by John Palmer, a wealthy British planter. At its peak, it was a 6,521-acre plantation, with more than 2,000 slaves helping to produce sugar. 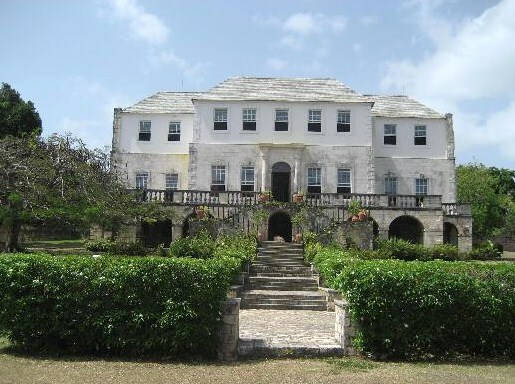 The Great House on the plantation is a Georgian mansion with a stone base and a plastered upper story, high on the hillside, with a panorama view over the coast. It was restored (old photo) in the 1960's to its former splendor, with mahogany floors, interior windows and doorways, paneling and wooden ceilings. It is decorated with silk wallpaper printed with palms and birds, ornamented with chandeliers and furnished with mostly European antiques. There is a bar downstairs and a restaurant. Hours: Daily 9am-6pm. Last tour at 5:15pm. Prices: $20 adults and $10 children 12 and under. US Prices. One of the big attractions to The Great House is the story of 4'11 Annie Palmer, a Haitian born woman who later moved to Jamaican and married the owner of Rose Hall, John Palmer. John then later died suspiciously (along with two other husbands) and it is speculated that Annie herself brought about their demise. Annie became known as a mistress of voodo, using it to terrorize the plantation, and taking male slaves into her bed at night and often murdering them. BONUS LINK: See Annie Palmer. She is also supposed to have killing her lovers allegedly because she was bored of them. The legend has her being murdered in her bed during the slave uprisings of the 1830's. Now, the Great House has been used as a museum for tourists who wish to see where Annie Palmer ate, slept and also areas of the house where she is said to haunt. She was buried directly behind the Great House in a tomb designed to keep her there for eternity. A special voodoo ritual was designed and performed to ensure this would happen, but the legend says that the ritual was not fully completed, which allows the spirit of Annie to still walk the house and roam the plantation today. Visitors to the Great House have seen Annie riding her horse at night on the plantation grounds looking for runaway slaves. She has also been seen standing on her balcony, still watching over the plantation even in death. And now Rose Hall is also known for holding seances to try and conjure her spirit and gain answers about the mysterious deaths of her husbands and fanciful legends of underground tunnels, bloodstains and hauntings that surround it. There is little evidence to support the legend other than a version of which was written by H. G. de Lisser in his 1928 novel The White Witch of Rose Hall. 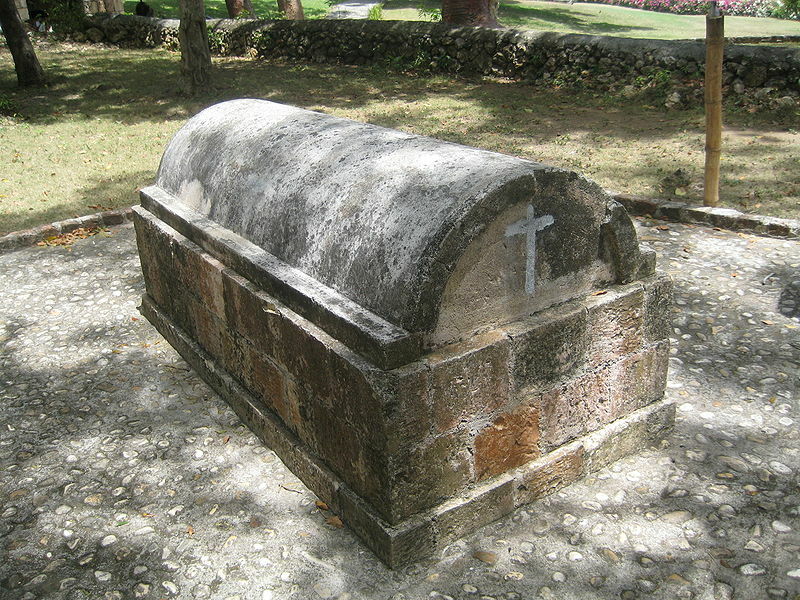 Read the book for yourself and next time you find yourself in MoBay, you might want to jog on over to Rose Hall for a tour. Will you sense the evil of the past or is it all just in the heads of those who once called Rose Hall home? It seems like a good vacation to start with. I like the idea of visiting history rich places and seeing the places of peoples on interest. It's good to know that there are unique places like the Rose Halls Great House. The vintage look makes it a very compelling place for many people who want to experience adventure. I am pretty sure that this house was made from high and good quality industrial products.